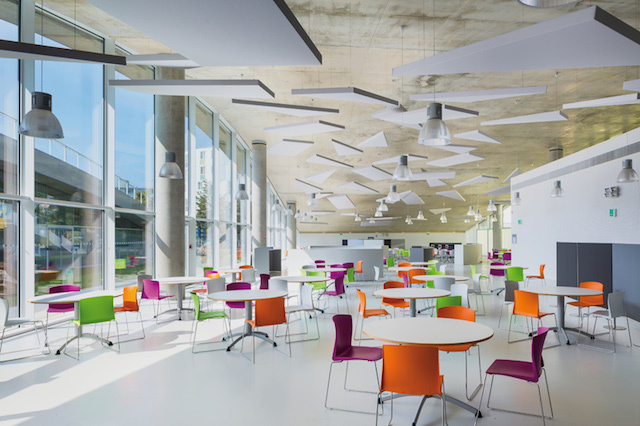 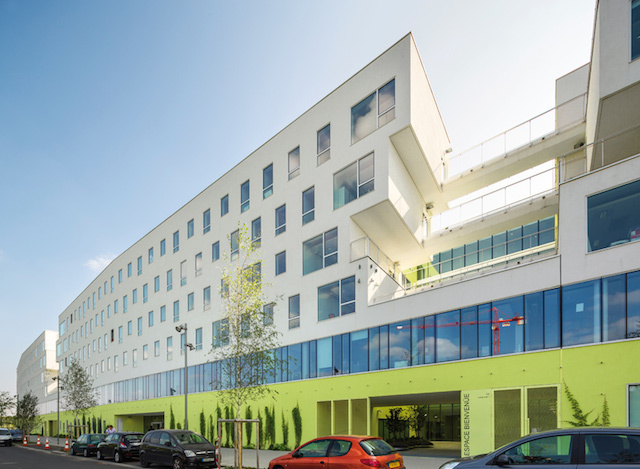 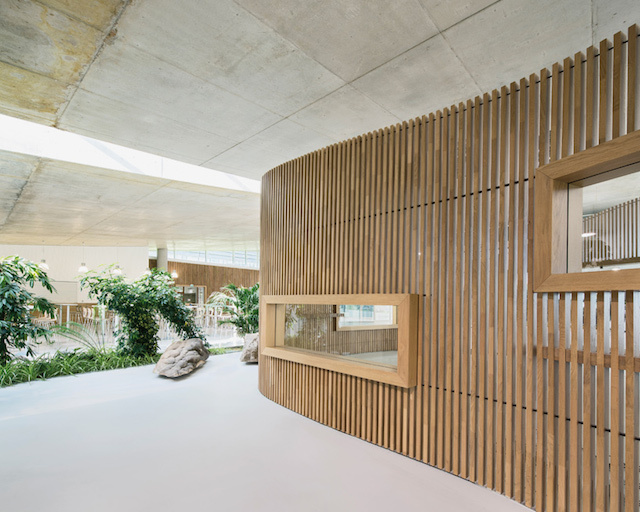 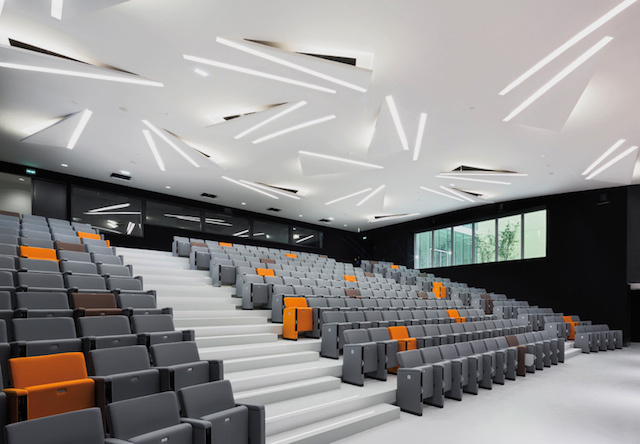 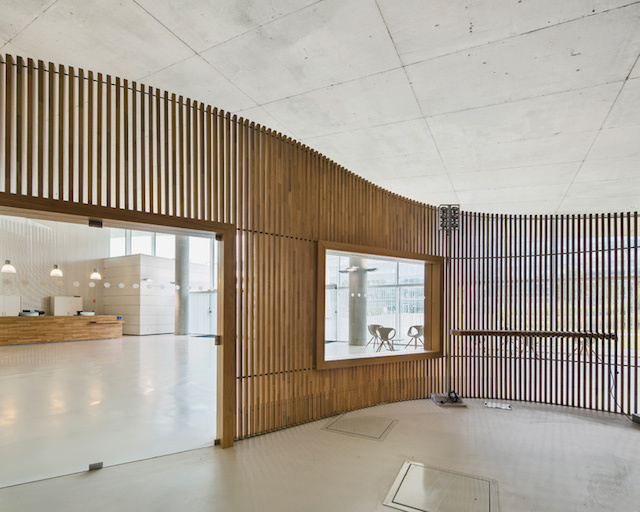 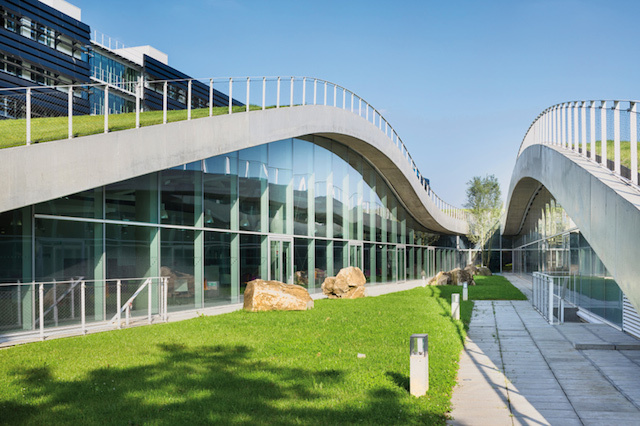 In Marne-La-Vallée, near Paris, a new campus has opened including 40 000 square meters of laboratories, restaurants, sports facilities, offices and lecture rooms. 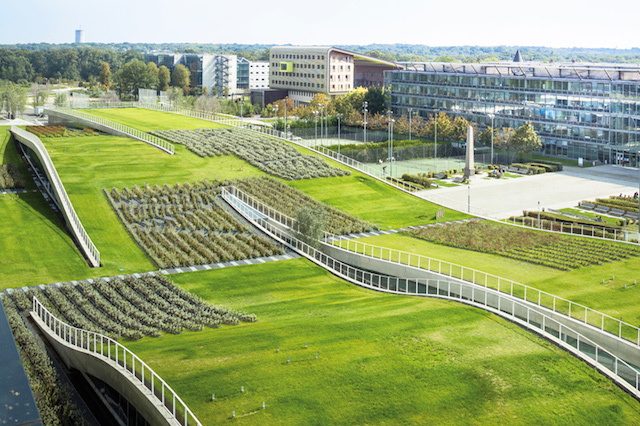 French architect Jean-Philippe Pargade has designed an undulating roof like a wave with grass fields for recreation areas. 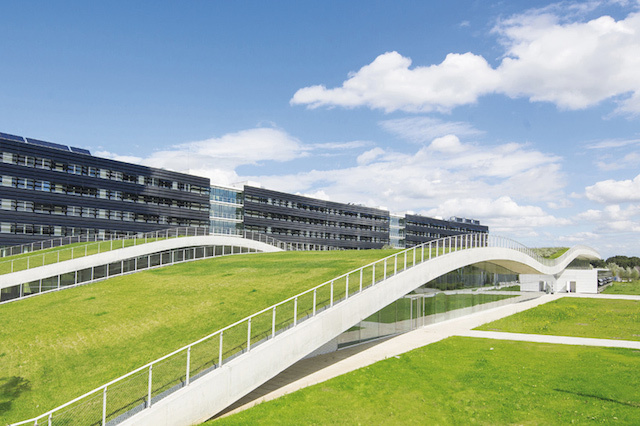 The “Landscape Wave” is to discover in images. 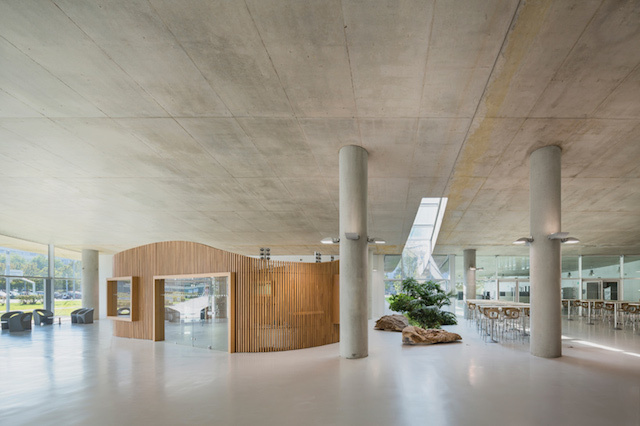 Photos by Sergio Grazia & Luc Boegly.